The value of a truly ergonomic instrument grip can never be emphasized enough as revealed in several scientific studies. 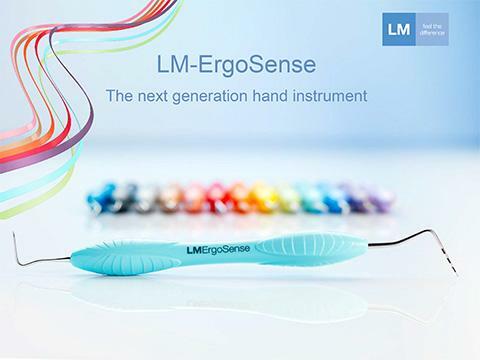 A hand instrument with thick silicone handle has been found to be more usable, cause lower perceived strain and to be more productive than those with thinner handles*). 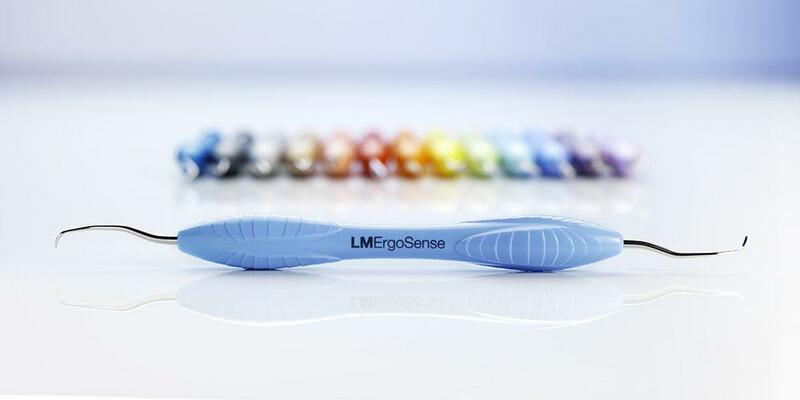 LM-ErgoSense was rated as the best in ten out of fourteen specified usability features compared with the other tested instruments in a dental scaling simulation *). It was also ranked as the best instrument. 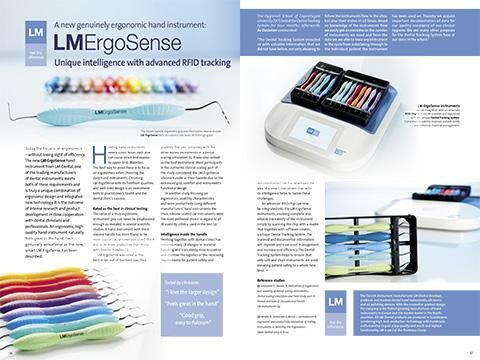 LM-Dental has developed the idea of an ergonomic instrument even further. 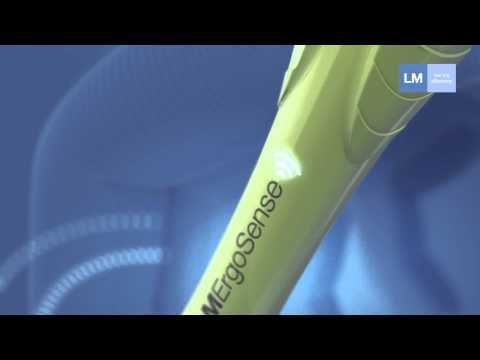 An advanced RFID chip can now be integrated into new LM- ErgoSense instrument handles enabling complete and reliable traceability of the instrument. The scanned and documented information improve patient safety, material handling and increase cost efficiency. 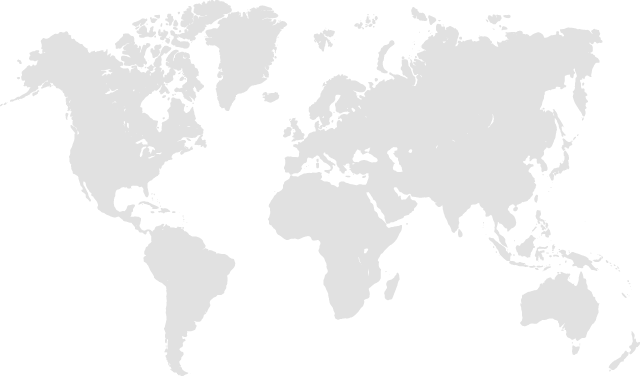 Read more at www.dentaltracking.com. 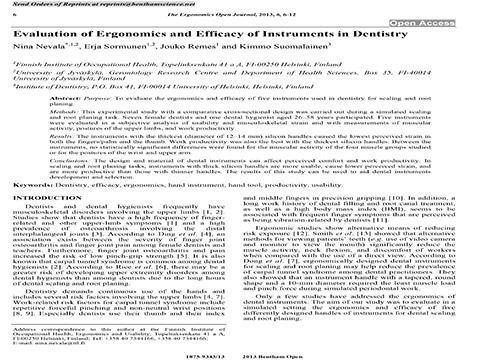 *) Sormunen E., Nevala N: Evaluation of ergonomics and usability of dental scaling instruments; Dental scaling simulation and Field study, part III. 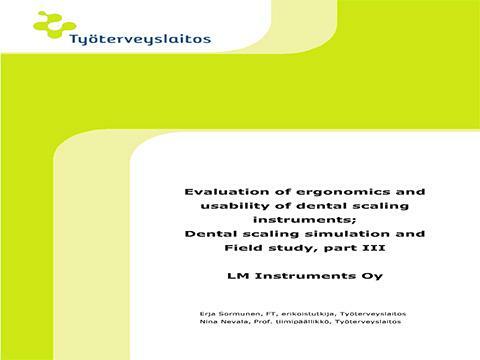 Finnish Institute of Occupational Health, LM-Instruments Oy.